The 10th Annual Affairs of the Vine Pinot Summit was held in San Francisco February 25, 2012. 460 Pinot Noirs, including Blanc de Noir and Brut Rosé sparklers, were entered in the competition judged by a diverse panel of wine professionals. At the Summit, the wines deemed best by the judging panel are offered to the public for blind tasting and the results of the consumer preferences are compared to the judges’ preferences. The following wines were poured at the Summit. Value-priced wines ($30 or less) are indicated by an asterisk. 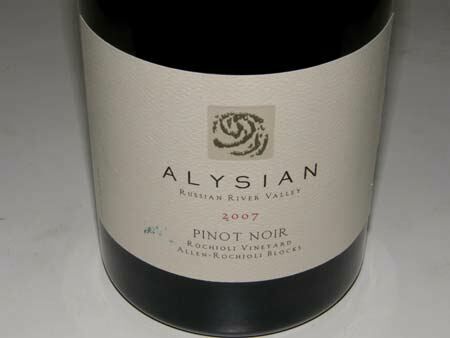 2008 Alysian Allen-Rochioli Blocks Rochioli Vineyard Russian River Valley Pinot Noir 159 cases, $65. Clearly the class of all the entries and the highest scoring Pinot Noir. *2010 Angeline Reserve Sonoma County-Mendocino County-Santa Barbara County Pinot Noir 45,000 cases, $16. *2009 Barbed Oak Vineyard Zara’s Block Barbed Oak Vineyard Bennett Valley Pinot Noir 246 cases, $29. *NV Barefoot Cellars California Pinot Noir 700,000 cases, $6.99. I have had this wine and it is surprisingly good at this price. From the E.&J. Gallo family of wines. 2009 Davis Family Vineyards Soul Patch Russian River Valley Pinot Noir 525 cases, $42. 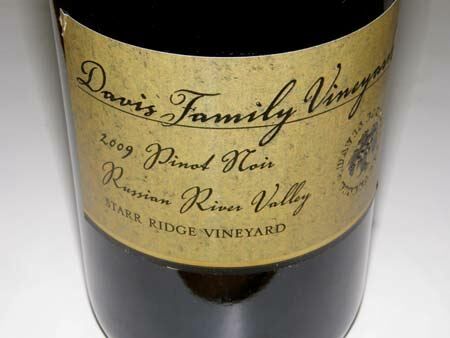 2009 Davis Family Vineyards Starr Ridge Vineyard Russian River Valley Pinot Noir 225 cases, $42. 2009 Dunstan Wines Durell Vineyard Sonoma County Pinot Noir 229 cases, $50. 2008 Elkhorn Peak Estate Vineyard Napa Valley Pinot Noir 300 cases, $34. 2008 En Garde Reserve Russian River Valley Pinot Noir 80 cases, $48. *2008 Gloria Ferrer Cara Carneros Pinot Noir 14,433 cases, $22. 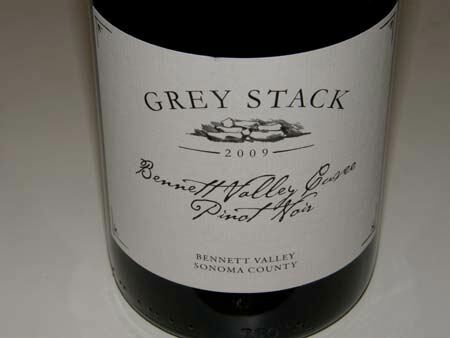 *2009 Grey Stack Cellars Bennett Valley Pinot Noir 175 cases, $30. *2010 Harlow Ridge Lodi Pinot Noir 12,500 cases, $10.99. 2008 Kenneth Volk Enz Vineyard Lime Kiln Valley Pinot Noir 159 cases, $60. *2007 Laurier Los Carneros Pinot Noir 1,500 cases, $19.99. 2009 Lazy Creek Vineyards Estate Anderson Valley Pinot Noir 800 cases, $42. *2009 Leucadia Red Russian River Valley Pinot Noir 700 cases, $18. 2006 Orentano Russian River Valley Pinot Noir 1,500 cases, $36. 2009 Orsi Papale Rusian River Valley Pinot Noir 250 cases, $35. *2007 PerBacco Cellars Laetitia Vineyard Arroyo Grande Pinot Noir 470 cases, $30. 2009 Petite Abeille PA Vineyard Russian River Valley Pinot Noir 235 cases, $50. 2009 RN Estate Kruse Vineyard Paso Robles Pinot Noir 125 cases, $48. 2008 Solomon Hills Solomon Hills Vineyard Santa Maria Valley Pinot Noir 150 cases, $57. *2010 Spy Valley Marlborough Waihopai Valley New Zealand Pinot Noir 13,000 cases, $26.99. 2008 Stephen’s Estate York Mountain Pinot Noir 150 cases, $38. 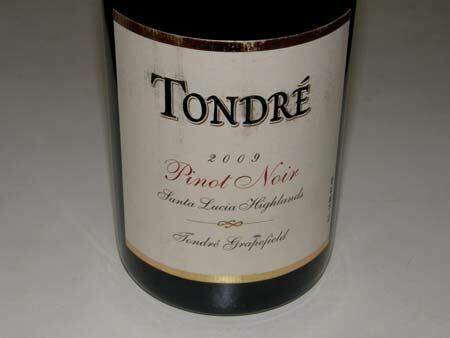 *2009 Tondre Tondre Grapefield Santa Lucia Highlands Pinot Noir 650 cases, $30. 2008 TR Elliott Three Plumes Hallberg Vineyard Russian River Valley Pinot Noir 139 cases, $42.